LEARN SHARE INSPIRE | Welcome to my little world of big learning through this wonderful medium of the world wide web. 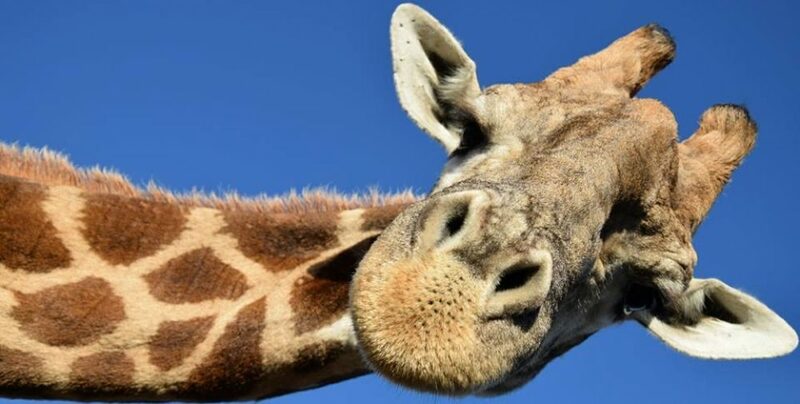 My picture of a giraffe (with thanks to my friend Stephen Walsh for taking this fabulous photo and allowing me to share it) is my idea of “sticking my neck out” and taking on new challenges of eLearning. I hope we can learn, share and inspire together. Twelve weeks ago I had no idea what a PLN was so, as you do, I googled! I came across this article on what a Personal Learning Network is and found it interesting but also daunting. I was being asked to set up my own PLN for the online unit of study I was doing and as I am a bit of a technology ‘dinosaur’, I went into a mild panic. I have completed The Six Learning Spaces assignment, added to my PLN. I am just about to complete my Future Learning Space assignment, added to my PLN. I have written regular blog posts to my PLN. I have learnt so much about the design process of this site through trial and error but I have also been wonderfully supported by my online lecturer, Mr Adam Staples, my eCoP, in EDFD459, my colleagues, my friends and especially my family. Amazing what two tech-savvy children can do to help their Mama when she is stressed out and on the verge of tears! As I was searching for an image to place at the top of this post, I found this wonderful one and I must admit, I smiled when I realised that all 10 reasons were now very applicable to me. This statement has been on my mind as I think about these wonderful people always being labeled as ‘refugees’. Why can’t they be labeled teacher, doctor, business owner, chef, scientist, etc. Why do they have to be defined by their situation and not by who they were before they were forced to flee their homeland? Last night, while I was carrying out research into my latest university assignment, focusing on learning spaces in refugee camps, I came across this powerful and emotive article. Refugees are people just like us, with dreams and hopes for the future. We need to do more, to help make their dreams and hopes are reality! I was struggling to choose a refugee camp to focus on for my assignment but in the end the camp chose me, thanks to a beautiful four year old boy named Muhammed Ali. After having ‘met’ Muhammed while doing my research, I immediately wanted to learn more about where he lived, what the conditions were like, what sort of facilities were in the camp and what opportunities did he have to play, to learn, to be creative. Alexandria in Greece is where I have found my refugee camp, Muhammed’s home for the last four years. So much needs to be done for all the children in Alexandria. It is a camp that has drawn the attention of some wonderful organisations and people who are doing amazing things there to help not only the children but the adults also. They are working to do their best to make these people feel settled for the time they have to spend in the camp, to give them access to basic necessities of food, shelter, water etc, to provide some simple educational resources and to help them with the process of relocating to and often reuniting with their loved ones in another country. After reading of the the work being done there, I have been inspired to think about my part in helping to make a difference. I have been influenced by Teachers Without Borders to choose their Child-Friendly Spaces Initiative and I have made connections with other organisations doing similar work. I have been thinking of ideas that could be implemented in Alexandria to help Muhammed and all the young children at his camp. I would like them to have access and opportunities to flourish in Learning Spaces. I am now trying to do “small things in a big way” Napoleon Hill, Writer, 1883-1970. As I research about refugees and their plight around the world my previous post was filled with sadness. This post is filling me with hope as I look at the work a myriad of wonderful organisations and people are doing to make a difference. Education is paramount in all the organisations. Each has a very definite direction on how to ensure refugee children receive quality education, often despite less than favourable conditions. Below I have included general statements from the organisations with which I have made a connection. I am now looking more specifically at education and becoming inspired by what they are doing. I’m getting my ‘happy’ on! This wonderful video of Syrian children in Za’atari Camp affirms that despite the sadness and often overwhelming sense of despair these children might be feeling, they can also still get their ‘happy’ on! Hope this makes you get your ‘happy’ on too? Teachers Without Borders Mission and Vision states… Teachers Without Borders connects teachers to information and each other in order to make a difference in their communities — on a global scale. Our tagline: Teachers. Leaders. Worldwide. International Rescue Committee “Better Aid” Strategy states… The world’s more than 60 million displaced people, the highest number ever recorded, require more than “aid as usual.” Their growing and increasingly complex needs mandate a transformation—a creative rethinking—in the global humanitarian response. The International Rescue Committee has taken on this challenge. Refugee Support Europe Mission states… We aim to improve the livelihoods and outcomes for refugees by prioritising dignity and co-operation. We believe that if we are going to achieve that we need to adhere to high professional and ethical standards. Human dignity is right at the heart of our activities. UNHCR Primary Purpose states… is to safeguard the rights and well-being of people who have been forced to flee. Together with partners and communities, we work to ensure that everybody has the right to seek asylum and find safe refuge in another country. We also strive to secure lasting solutions.